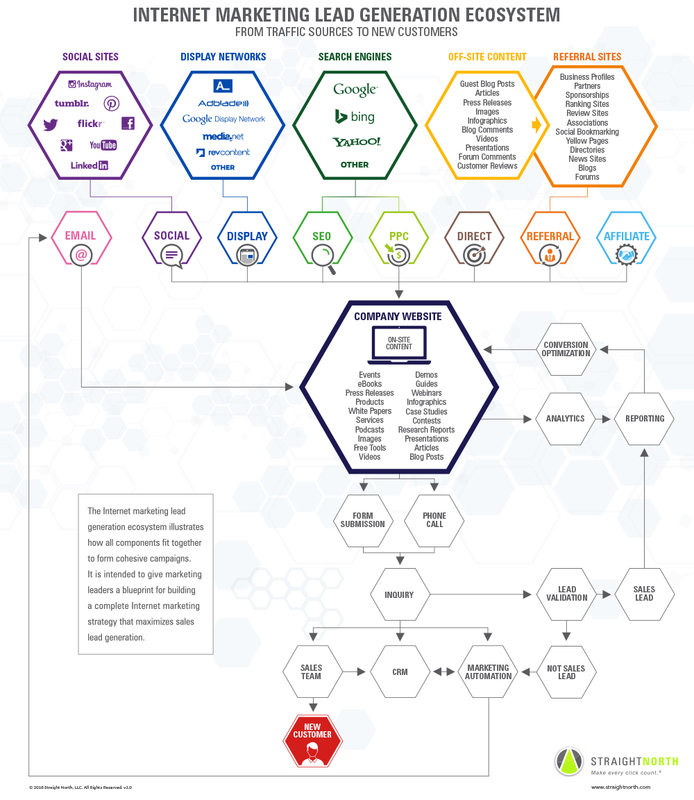 The lead generation ecosystem infographic was created by Straight North, a full-service internet marketing agency that offers professional SEO services. It illustrates the multiple internet marketing areas that can be used to create an online lead generation campaign. Recognise new methods to modify and scale their current campaign. The top section highlights the various outlets you can generate website traffic from then moves to the middle portion that should be managed by experienced and skilful internet marketers, which leads to a new customer shown at the bottom of the infographic. The infographic illustrates how each component in lead generation relates to each other and to the goal. Share this infographic with your friends and colleagues!